In this Policy, when we use “we”, “us” or “our”, we refer to the company which is collecting your personal data, or which is operating the website which you are accessing or using. your contact information, including your (first and last) name, address, birthdate and email address and, optionally, your telephone number. We need this so that we may contact you regarding rewards give-away, new journeys. Web analytics. Web analytics is the term given to a method for collecting and assessing the behavior of visitors to websites and (mobile) applications. This includes the analysis of traffic patterns in order, for example, to determine the frequency of visits to certain parts of a website or (mobile) application, or to find out what information and services our visitors are most interested in. Web analytics are carried out by Google Analytics and/or other selected parties. 2.3 Your personal data may also be anonymised for use by WOOP for other purposes. 2.4 If you have consented, your personal data may be used by WOOP for the purposes of marketing services offered on the website or other products or services offered by WOOP or those of its strategic partners or business affiliates e.g. informing you of latest activities, special offers, promotions or sending you newsletters. 2.5 In order for us to market journeys which are of special interest and relevance to you, we may analyse and rely on your overall interaction with us (such as but not limited to your ratings and reviews of brands, your contact history with our customer service, your newsletter clicks/ opening results, your surfing behaviour (web tracking), the newsletter types you are subscribed to, your participation in journeys, your interactions with us and your use of (mobile) applications). 2.7 When using your personal data to contact you for the above purposes, we may contact you via regular e-mail, SMS, telephone or any other electronic means. 3.2 We will only disclose your personal data to third parties where you have provided us consent, and in the situations expressly set out in this Policy. If you have consented to receive marketing information from us, our strategic partners and business associates, we will be disclosing your personal data to them. 3.3 Your personal data may be disclosed and shared within WOOP to allow us to provide the services which you have requested. 3.7 You fully understand and consent that we may transfer your personal data to any location outside of Philippines for the purposes set out in this paragraph 3. When transferring your personal data outside of Philippines we will protect your personal data to a standard comparable to the protection accorded to your personal data under the Philippines Personal Data Protection Act 2012 by ensuring that the recipient is either in a jurisdiction which has comparable data protection laws, or is contractually bound to protect your personal data. 4.1 This Policy only applies to our website and information that we collect from you. Our websites may contain links to other websites which are not owned or maintained by us. When visiting these third-party websites or disclosing your personal data to third parties (including buyers or sellers on our website), you should read their privacy policies, or ask relevant questions before you disclose your personal data, We are not responsible for the collection, use or disclosure of your personal data by such third parties. 7.2 This further means that when you visit our website the personal data described above in paragraph 1.1 – including the data from “web beacons and tracking links” and information stored in Google Analytics’ cookies – will be sent to Google Analytics for analysis for and on behalf of us. Please note that if you have created an online profile on our website or mobile or web-based application and if you are logged on in this profile, a unique number identifying this profile will also be sent to Google Analytics in order to be able to match the web analytics data to this profile. 7.3 Google Analytics acts as our agent, which means that we solely determine the purposes for which the data is being used. 8.1 Our website and mobile or web-based applications may use retargeting technologies within the internet. This enables us to show our visitors, who were already interested in our services, advertisement from us on partner websites. 8.2 Retargeting technologies analyse your cookies and display advertisement based on your past surfing behaviour. For further information on cookies, please refer to paragraph 1 of this Policy. 8.3 We do not store any personal data about you with this technology. 12.4 In many circumstances, we need to use your personal data in order for us to provide you with services which you require or have requested. If you do not provide us with the required personal data, or if you do not accept the amended Policy or withdraw your consent to our use and/or disclosure of your personal data for these purposes, it may not be possible for us to continue to serve you or provide you with the services that you require or have requested. 13.2 All complaints will be evaluated by WOOP in a timely manner. 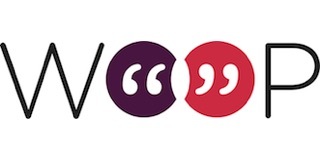 After WOOP has completed its evaluation, WOOP Data Protection Officer (or a duly appointed representative) will respond to the person who submitted the complaint or feedback, with the results of the evaluation.